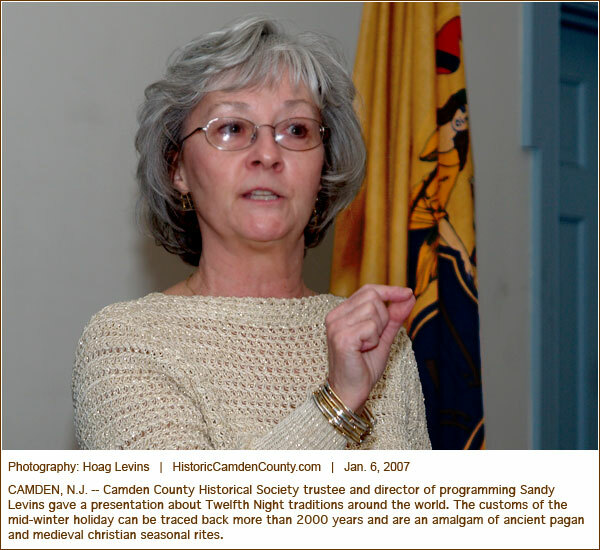 CAMDEN, N.J. -- Cake was something of a star attraction at the Camden County Historical Society's 2007 Twelfth Night event, which revisited the customs and foods of that oldtime holiday. 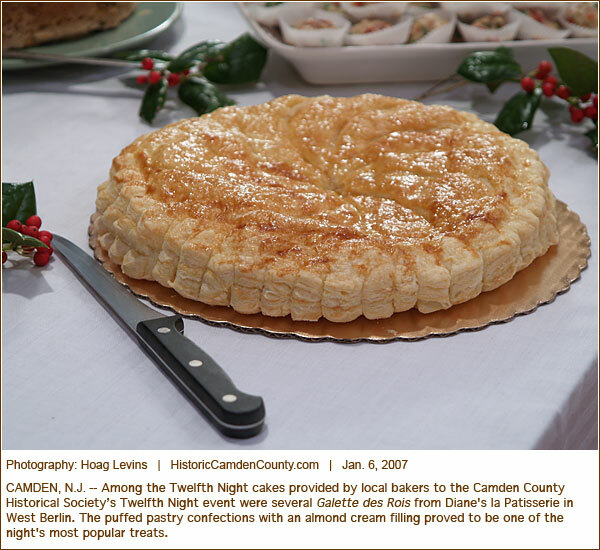 Among the Twelfth Night cakes provided by local bakers were the Galette des Rois (above, left) from Diane's la Patisserie in West Berlin, and a King Cake (above, right) from McMillan's Bakery in Westmont. 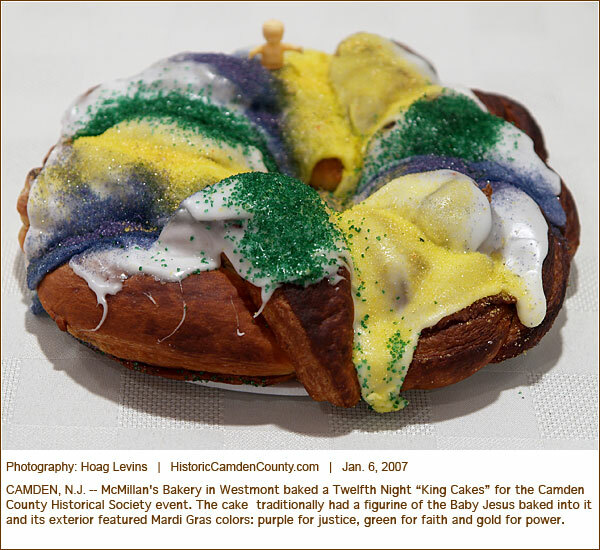 The King cake traditionally had a figurine of the Baby Jesus baked into it and its exterior featured Mardi Gras colors: purple for justice, green for faith and gold for power. 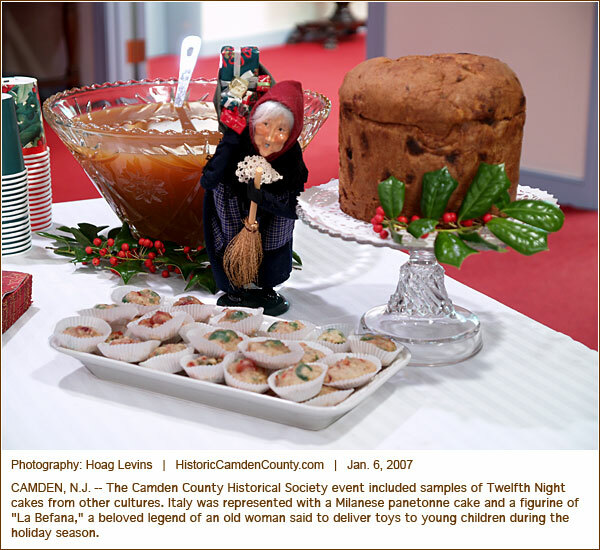 Society trustee and director of programming Sandy Levins (above, left) gave a presentation about Twelfth Night traditions around the world, including Italy, represented with a Milanese panetonne cake (above, right) and a figurine of "La Befana," beloved legend of an old woman said to deliver toys to young children during the holiday season. 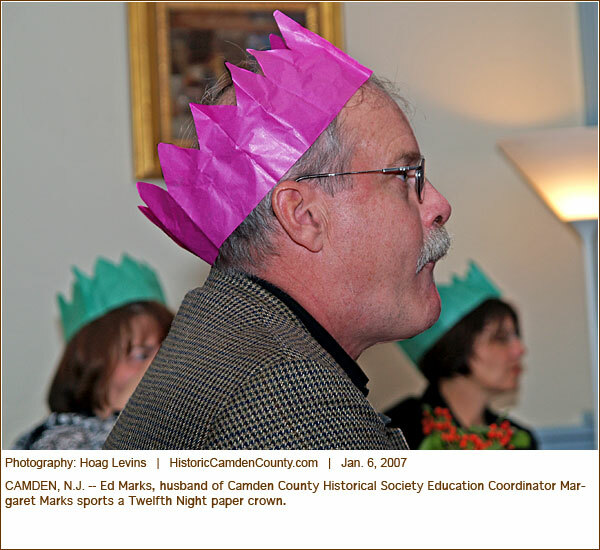 Ed Marks, husband of Society Education Coordinator Margaret Marks (above, left), sports a Twelfth Night paper crown. 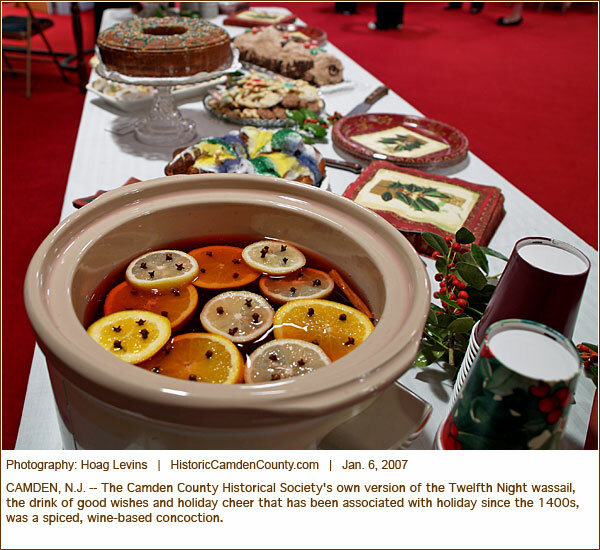 The Society's own version of the Twelfth Night wassail (above, right), the drink of good wishes and holiday cheer that has been associated with holiday since the 1400s, was a spiced, wine-based concoction. 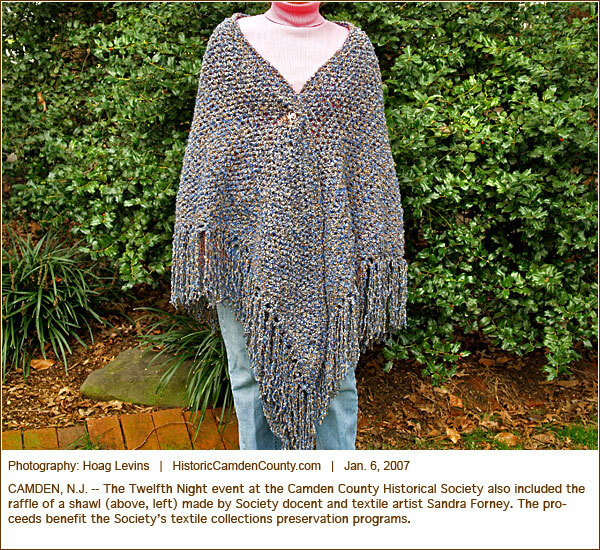 The night also included the raffle of a shawl (above, left) made by Society docent and textile artist Sandra Forney. 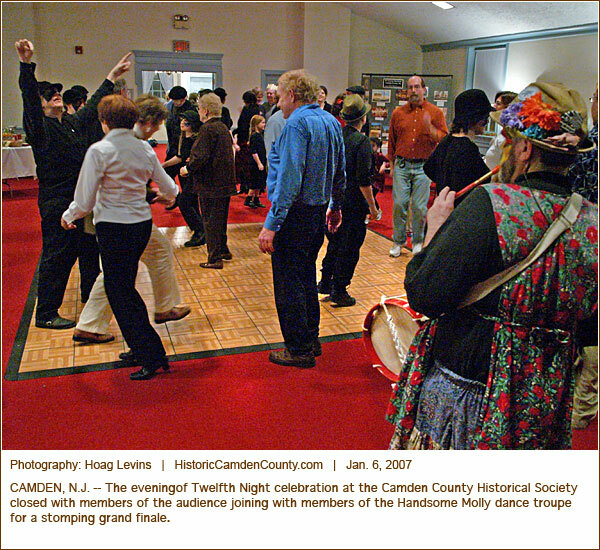 The evening closed with members of the audience joining with members of the Handsome Molly dance troupe (above, right) for a stomping grand finale.